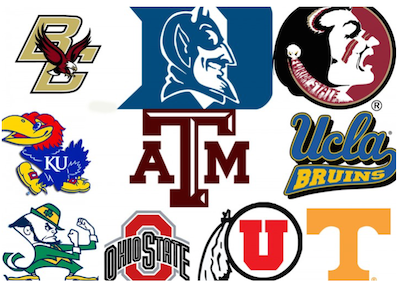 The Ohio State University (O.S.U.) 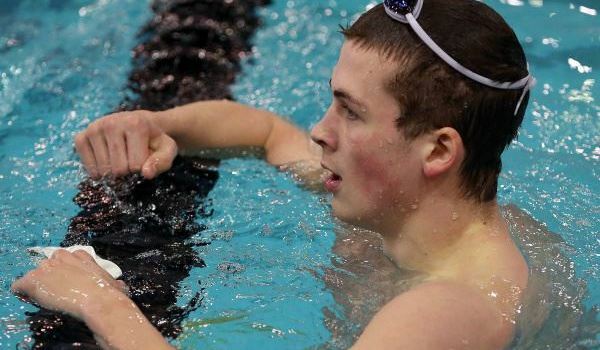 Men's and Women's Swimming Team will soon have a Big Challenge Swim (Race4cure) meet vs. Ohio's Kenyon College on October 30, representing two of the nation's best college swim programs. This meet will raise funds for cancer, including cancer affecting people living with disabilities. 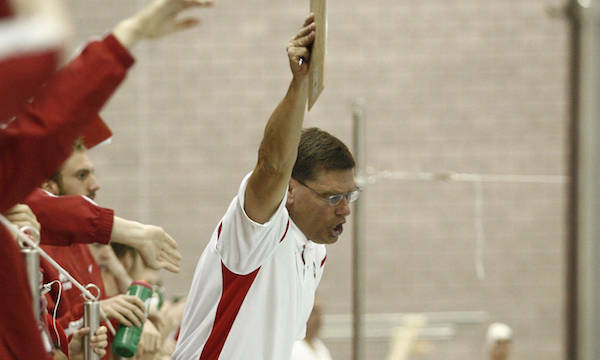 The meet will also be used to challenge other NCAA-l programs. Beginning at 6pm at the McCorkle Natatorium on OSU's campus, the theme of the meet is "Fill the Mac Nat!" (#FilltheMacNat). J. Luce Foundation's The Bauer Fund. Photo: O.S.U. Proceeds from this meet are going to the J. Luce Foundation's Bauer Fund. 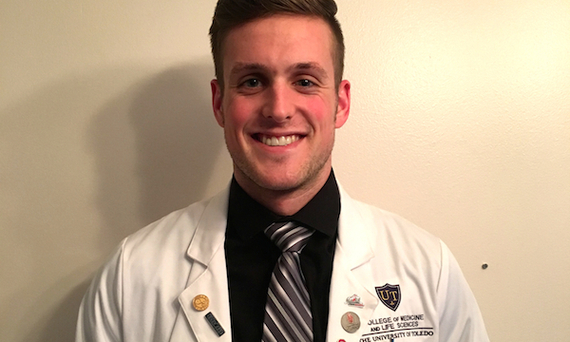 The Bauer Fund was inspired by the life and death of Grant Bauer, an avid swimmer and son of Dr. William Bauer, McCoy Professor of Education at Marietta College and vice president of the J. Luce Foundation in New York. 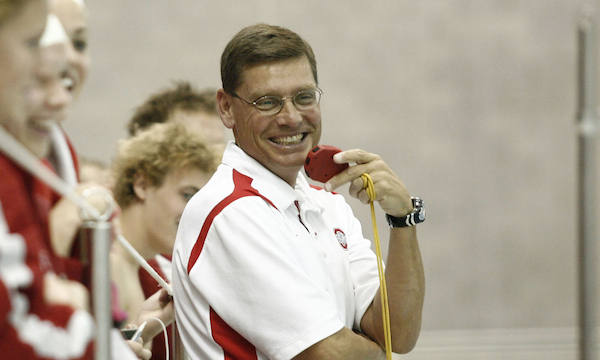 Bill received his Ph.D. in Rehabilitation Counseling from Ohio State and today volunteers as a coach for the Buckeye Swim Team. 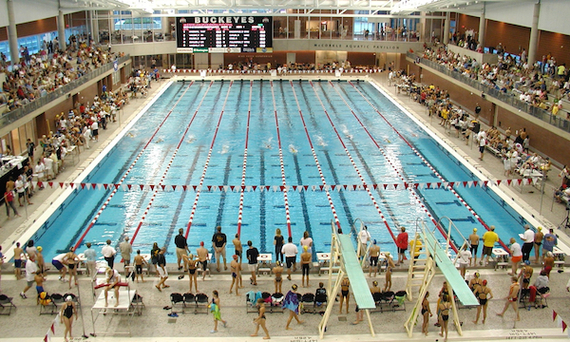 McCorkle Natatorium at Ohio State University. Photo: O.S.U. The Bauer Fund not only raises funds for mental health, developmental/intellectual disabilities and suicide prevention/awareness, but also encourages supporters to perform Random Acts of Kindness (story). is also a U.S. National Team coach. Photo: O.S.U. This year, Residential Housing for Developmental Disabilities has lost two precious souls to cancer - both succumbed to their battles. Our staff who worked with these gentlemen were dedicated and loving. They struggled with watching their loved ones' health decline while being unable to help with the pain and the fear. It's never easy to lose someone you love, but it's especially difficult when they are struggling to understand why their medicine makes them so sick. As a private, non-profit provider of services for folks with a developmental disability, our role is multi-faceted including being a support system for end of life care. RHDD has been a provider of supports for folks with a developmental disability for 39 years. Our staff who work directly in a person's home develop meaningful relationships that endure. In many cases, a staff member's face is the last image an individual sees on this Earth. We are family, friend, confidante, and so much more. Being a provider is especially an honor in intimate moments such as a comforting someone as they pass out of this world, into the next. Developmental Disabilities. Photo: Lisa Reed. 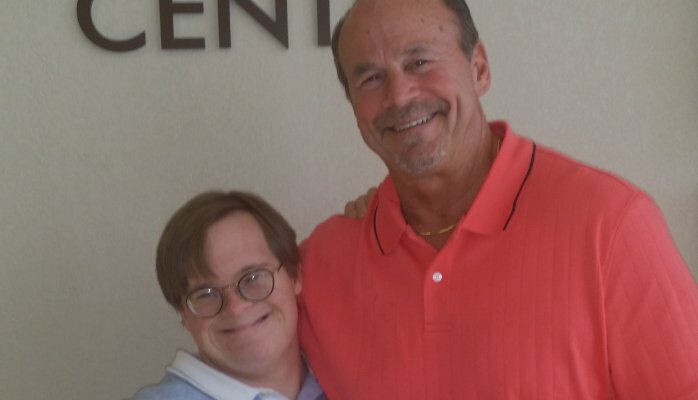 One man who knows much about loving someone both living with a developmental disability and fighting cancer is Dan Brannan, founder of DLB Leadership, who writes extensively on "Overcoming Cancer Together" - whose son is fighting gallantly. Dan Brannan and his son are overcoming cancer, together. Photo: Dan Brannan. Our team has chosen to participate in several community service projects to do our part in helping others, especially those who are in need. We are so thankful and grateful to have such a socially conscious group of young men on our team. This year we will do our very best to promote cancer awareness during our first meet of the season. We also have a ten-year old boy that our team has adopted by the name of Alex who is currently in remission from his cancer treatment. Our team loves him like a little brother and we enjoy spending time with Alex and his family! to have such a socially conscious group of young men on our team. Photo: O.S.U. I have a grand vision for this project. This being our first year, my hope is to get a pod of teams together like we are to compete for a cure for breast cancer. I believe, as coaches and human beings, we have a social responsibility to develop our student-athletes to be the best human beings and student-athletes possible. I hope that competing philanthropically is a way to relate our sport to giving back - and I think it can be. My hope is that this catches on with other universities, and that other pods of swimming and diving teams, are formed throughout the year for other diseases like HIV/AIDS, ALS, other types of Cancer, etc. The donors for this are so exceptional. We couldn't have made this competition possible without the generosity of our amazing donors for our amazing sport. Duke alumina Caroline Conklin '15 and Catherine Conklin '12, are extremely generous for donating $1,000 to this cause as our school's "stake" in the competition. These are both young alumnae who are amazing women with brilliant futures. They were and are instrumental in the success of our team, and we are so appreciative of them. anyone, in the same way that cancer does." Photo: Michael Gallagher. It's incredible to see that an organization associated with the sport I love and have competed in for over sixteen years has rallied behind an issue that plagues people regardless of age, race, or gender. Mental illness and disabilities can affect anyone, in the same way that cancer does. We tend to forget this fact, as cancer doesn't care whether a person has a disability or not. Through my time with Ohio State Swimming, I was able to volunteer for the Ohio Youth Leadership Forum, and was amazed by the individuals I met there. Though the high school'ers I met there faced a different set of challenges that vary from my own, their love for life and motivation for excellence was beyond inspiring. The heartbreaking stories we hear evoke strong emotions but nothing else. Conversation and action on this issue must be instigated to give hope to those who are suffering from cancer, regardless if the possess a disability or not. I think this effort of The College Swimming Coaches Association is a great step in the right direction. 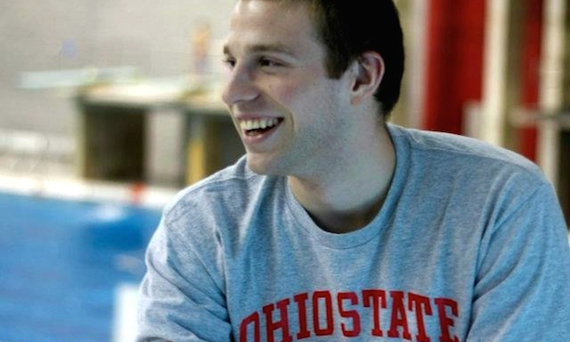 Joey Long, the Buckeye Swimmer organizing O.S.U. 's team. Photo: O.S.U. Cancer is something that affects everyone from the elderly to the young - people of all walks of life. One aspect that I feel is sometimes overlooked is that cancer is just as likely to effect people with disabilities as people living without a disability. Through this meet -- during breast cancer awareness month -- our team wants to raise awareness for cancer affecting everyone, including those living with disabilities, because no one should ever feel like they are fighting alone. Former Big Ten All American and Big Ten Athlete of the Year Andrew Elliott. The Bauer Fund not only aims to make the world a more loving place through Random Acts of Kindness - RAKs -- but also give hope to those who need it most. I have witnessed the impact this can have on people's lives. While volunteering at Ohio's Youth Leadership Forum for High School Students with Disabilities founded by Dr. Bill Bauer, V.P. The Luce Foundation, it was astounding to watch an individual's confidence grow when they feel empowered and loved. Even if you don't have money to donate to this cause, be sure to tell those you love how much they truly mean to you and never let them forget it. A few words can make a big difference. Head coach Bill Wadley of the Ohio State swim team. Photo: O.S.U. Cancer does not discriminate. It affects people with many different abilities of any age and from different walks of life. It is so difficult for families to watch their loved ones deal with the challenges of this cruel disease; often with limited ability to understand what is happening. That can be both a blessing and a curse. 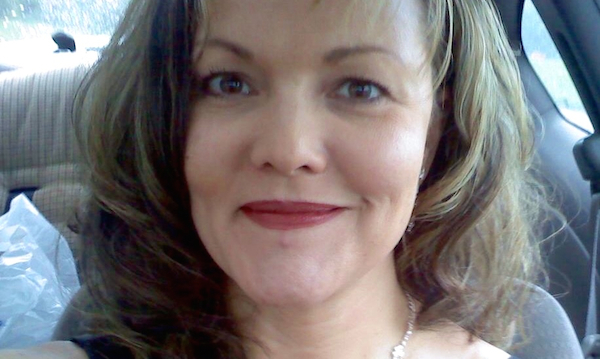 My most significant memory as a service coordinator was with a young man that I had been connected with as a teacher, case manager, friend and someone that became part of my family with time. He had grown up in an abusive home, lived at the county home for a period of time and eventually moved to residential services. He was diagnosed with cancer in his 40's and it took him swiftly. As a professional, I have always believed that the most important thing that I could offer the people I worked with was to form a "relationship of understanding." It was amazing to see the relationships with service providers, medical staff and others that evolved. He was not always an easy individual to deal with and patience was not his best characteristic. Such kindness and understanding was so important to this young man at this time in his life because he was very frustrated by the disease. It is often in our darkest hours that we experience unbelievable acts of kindness, understanding and love. $14,305 has been raised from 88 friends (B.F.F. 's - 'Bauer Fund Fellows') averaging $155 each for The Bauer Fund ‪(#‎TheBauerFund) since Sept. 5, 2015. On-line contributions designated "The Bauer Fund" may be made here (http://tinyurl.com/k7qa4wj). Checks may be sent to J. Luce Foundation, memo: "The Bauer Fund," at 540 Main Street #418, New York, N.Y. 10044. I encouraged Bill Bauer to be proactive on the anniversary of his son Grant's death - and he did, launching The Bauer Fund. Within a month, our foundation has received word of over 5,000 Random Act's of Kindness in Grant's honor, raised almost $15,000 to help those in need, and gotten support from over 1,000 people - including the members of the Ohio State University Men's Swimming Team. Both cancer and mental illness seem often insurmountable. But with so many people of goodwill jumping into the water, the pain seems somewhat softened. I did not know Grant Bauer personally, but I believe he would weep with joy knowing how many people out there care so deeply. And he would say with a smile as he always did, "Keep on swimmin'!"